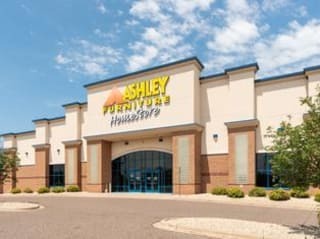 At Ashley HomeStore in Maplewood, serving Maplewood, MN, and the surrounding area, we believe your home is so much more than a house. It's the memories created that makes it uniquely yours. Helping you furnish it - from dreamworthy bedroom suites and chic living room spaces, to rustic dining sets and peaceful patio retreats - inspires us to provide you with the best selection that fits your style. The experienced Maplewood team is committed to being your trusted home partner. From your very first visit to ongoing customer support, we will be there with you every step of the way. At the Maplewood Ashley HomeStore, we're not only thankful we can celebrate your home with you, but we're thankful and proud to be a part of the No. 1 furniture retailer in the U.S. and one of the world's best-selling furniture brands, which allows us to offer you the best styles and prices in the furniture industry. Our team in Maplewood is standing by ready to help you create your dream home.